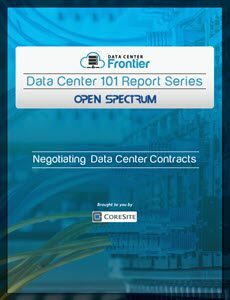 The Data Center 101: Negotiating Data Center Contracts report, brought to you in partnership with Open Spectrum, is part of Data Center Frontier's Data Center 101 Special Report series. Data Center 101: Negotiating Data Center Contracts is part of a group of 14 reports that cover the ins and outs of the data center industry, walks the reader through the steps to negotiating contracts for data centers. One of the most important pieces of the equation when purchasing or selling data center services is the legal contract signed by the client and the provider. Unfortunately, these contracts are far too often overlooked by the client or reviewed by attorneys who are unfamiliar with the industry. Clients and service providers have both been taken advantage of as a result, costing hundreds of millions of dollars in legal fees and damages.